This walk starts at the historic Tilbury Fort, built by Henry VIII to protect the Thames from invaders and near which Elizabeth I rallied her troops on the eve of battle. 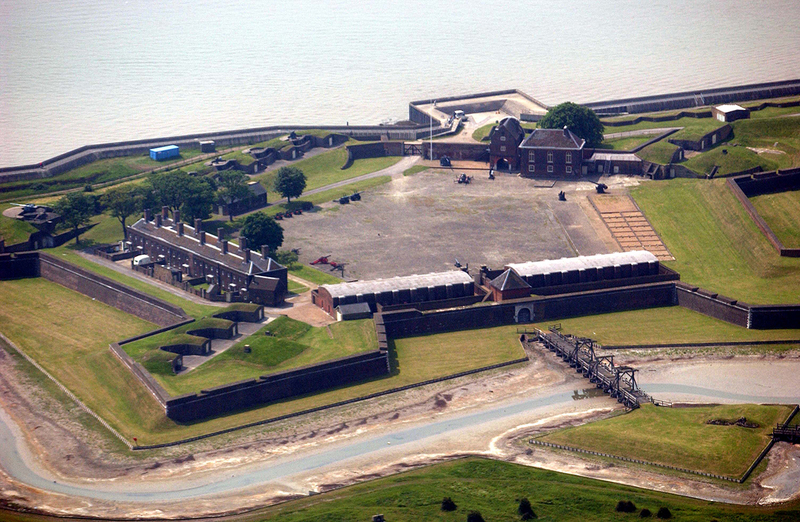 After exploring the fort we will walk along the historic waterfront to the 19th Century Coalhouse Fort, in time for a spectacular finale featuring all 100 Thurrock 100 flags choreographed by Jeanefer Jean-Charles with performers from Thurrock schools. Download a map here Walk 21. These walks are of different lengths and on different terrain. Some are mainly on footpaths, and others mainly on footpaths where ground may be uneven. Download our map here Walk 21 and use the colour coding so that you can decide if a route will be suitable for you.